Getting out on the water with a Jet Ski or WaveRunner is a fun and fabulous way to cool off and have a great time with some friends. When you’ve got the breeze in your face, the wind in your air, and the cool water splashing all around the last thing on your mind is an accident. The types of injuries that are caused by Jet Ski and personal watercraft accidents are typically severe and often, catastrophic in nature. The Bureau of Transportation Statistics estimates that annually, there are more than 5,200 boating accidents involving jet skis and other small recreational watercraft like waverunners. Too many of these accidents involve catastrophic injury or even the wrongful death of an innocent person. If you or someone you love has been involved in a boating or jet ski accident, you should immediately contact the Law Office of Joseph Onwuteaka, P.C. 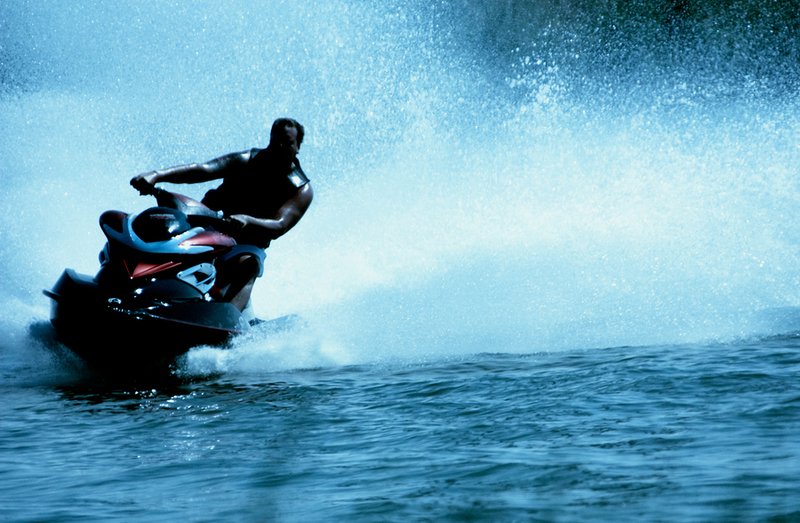 We have more than 30 years of experience handling jet ski and personal watercraft accident claims. When you trust your boating accident lawsuit to an attorney who has extensive experience in the area of personal injury law, you can move forward with confidence knowing that your personal injury attorney will maximize your chances of getting the financial compensation that you deserve. What are the most common causes of Jet Ski accident? Failing to properly evaluate the water conditions. Can anyone operate a Jet Ski or personal watercraft? The laws of each state vary with regards to the age limits of those who can operate Jet Skis and personal watercraft. In the state of Texas, one must be at least 13 years old and have passed a boater safety or equivalent exam. Otherwise, the operator must be 18 years of age or older and must be capable of operating the Jet Ski or personal watercraft. Jet Skis and personal watercraft are subject to both state and federal laws, so if you are unsure, it is always best to check. Do I have to report Jet Ski or personal watercraft accidents? Most of the time, yes. You are required to report an accident to the Texas Parks and Wildlife Department. They have a 24-hour communications line established. The number for this line is (512)389-4848. If you are unable to reach them, then you are required to report the accident to the nearest law enforcement or game warden. All Jet Ski and personal watercraft accidents must be reported if there is more than $2,000 in property damages or if there are injuries requiring more than just first aid. It is a good idea to report them all, especially since some injuries don’t always manifest themselves right away. What if I was involved in an accident with another Jet Ski? If you are involved in an accident with another Jet Ski, it is important that you report the accident, seek medical attention if necessary, and seek legal counsel right away. Speaking to an attorney about exactly what happened can help determine liability in instances like this. You may still be entitled to financial compensation. Jet Skis and personal watercraft are subject to both state and federal laws which can make litigation confusing. Throw in an injury and a couple of insurance companies and the due process can make your head spin. It is important that you speak with an attorney that is experienced with the specialized laws that govern boats, jet skis, and personal watercraft. 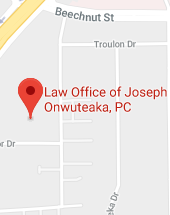 The Law Office of Joseph Onwuteaka, P.C., has been standing up for the rights of victims in aquatic litigation for more than three decades. We will take the time to listen to your story and investigate your case thoroughly. Our experienced staff will get your case prioritized and get you the compensation that you deserve. What if I am an injured passenger on the Jet Ski that caused the accident? If you were not driving and you sustained injuries in the accident, then you may still be entitled to compensation. Whether you were riding on the Jet Ski that actually caused the accident or not, you are a victim in this case and may be entitled to damages. Do I still report the accident if I am just a passenger? It would be great if everyone did the right thing, but unfortunately that is just not the case. You should still report your injuries to the police or the Texas Parks and Wildlife Department and seek medical attention if necessary. You can’t assume that the driver has done this. What if someone sustains fatal injuries in a Jet Ski accident? If someone is involved in an accident with a Jet Ski or personal watercraft, and sustains injuries that are fatal, the victim’s family may be entitled to sue for wrongful death. Who is named as a defendant in a wrongful death suit will depend on the facts of the case and where the liability lies. The wrongful death of a person may also carry criminal charges and it is important that your attorney understands how a criminal case may affect a civil case. Can’t I just deal with the insurance company? You can but it is not advised. Dealing with an insurance company is already frustrating, but the adjusters work to diminish your claim. They work for the insurance companies so they will not give you fair compensation for your injuries, no matter what they tell you. It is best not to make any statements to an insurance company or adjuster until speaking with an experienced attorney first. If you or a loved one have been severely injured or worse in an unnecessary Jet Ski accident caused by someone else’s negligence, you may be eligible to receive a settlement or jury award to compensate you for your losses. We will fight to get you the financial compensation that you are entitled to receive. 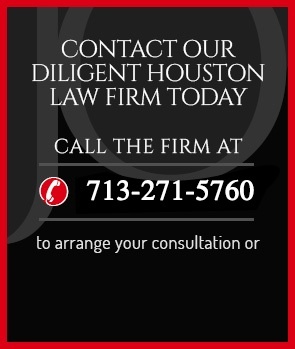 Dealing in all areas of personal injury law, medical malpractice and even criminal defense law, our law firm represent clients in Houston, Texas, and the surrounding areas. We also accept other types of accident cases, including boating accidents involving larger boats, car accidents, truck accidents, motorcycle accidents, slip and falls, construction accidents, workplace injuries and beyond. Do not delay in contacting our law practice, the Law Office of Joseph Onwuteaka, P.C. today. Call (713) 271-5760 or contact us online to schedule a free consultation with an experienced, aggressive boating accident attorney.